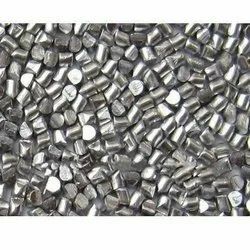 We are a leading Manufacturer of nickel shot from Indore, India. We are reputed for the Nickel Shot that we lubricate premium steel and aluminum. The range is engineered with features such as durability, corrosion resistant and wear and tear hardy. The wide application features make the product highly sought after by clients spread across industry verticals. Our product range is easily available, is low cost and timely delivered.